Kids around the area are rejoicing at the end of the school year and, even though adults may not have had to listen to a school bell for a few decades, everyone is joining the youngsters in their excitement over relaxing in the summer sun! Summer often means little ones run the risk of letting all the knowledge they’ve soaked up over the years slip away (and some of us adults may suffer from that summer slump too!). So round up the kids and grandkids and get out and about near your Canvas Valley Forge apartment for some history lessons and more. 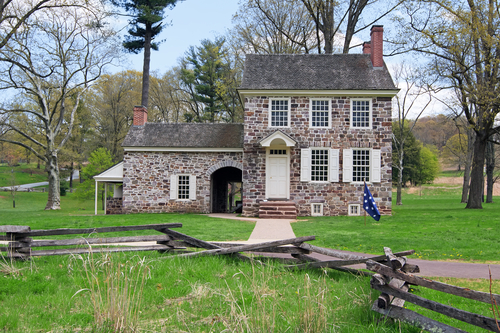 Pennypacker Mills: About a half-hour from your Canvas Valley Forge apartment, see what living in the early 1900s Montgomery County was like at the former home of a Pennsylvania governor. From art to architecture, and with lots of artifacts, you can walk back in time for an interactive history lesson. Duportail House: Just 10 minutes from your Canvas Valley Forge apartment, the Duportail House provides a glimpse into 1740s farm life. Tour the property and its beautiful grounds to see the perfectly restored house and barn, which are now popular sites for events like weddings and parties. Highlands Mansion: Make sure to schedule a full day to explore Highlands, about 25 mins from your Canvas Valley Forge apartment. The property is comprised of nine buildings scattered across 44 acres. The buildings date to the 1700s and feature everything from a Georgian mansion to a Gothic Revival cottage, as well as two-acre garden. Whether you’re interested in learning about the families who lived on the property over the past several centuries, in taking in the eye-opening architecture or in seeing the beautiful summer scents and sights of the grounds, there’s lots to see and do at Highlands.